The relentless stride of Northern Electronics can be put down to the attitudes of its owners, Anthony Linell and Jonas Runnberg. 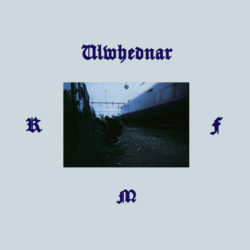 Their collaborative project, Ulwhednar, has been shapeshifting at the centre of the label since its inception, and has captured their hard line electronics in its many guises. Following on from 2017’s ‘Modern Silver’, their new album reprises the intensity by grappling with its themes from a refreshed perspective. Crossing Norrland, the northernmost part of Sweden, and graffiti incidents and exploits, ‘ Razor Mesh Fencing’ tracks the fervour of operations left undercover with blistering rhythmic pieces. With only brief moments of respite on ‘ Razor Mesh Fencing’ its stamina perpetually keeps us on the edge. Winding around its paths, our escape is in its adrenal crescendo.